This paper doll worksheet can take up an entire 45 min lesson. 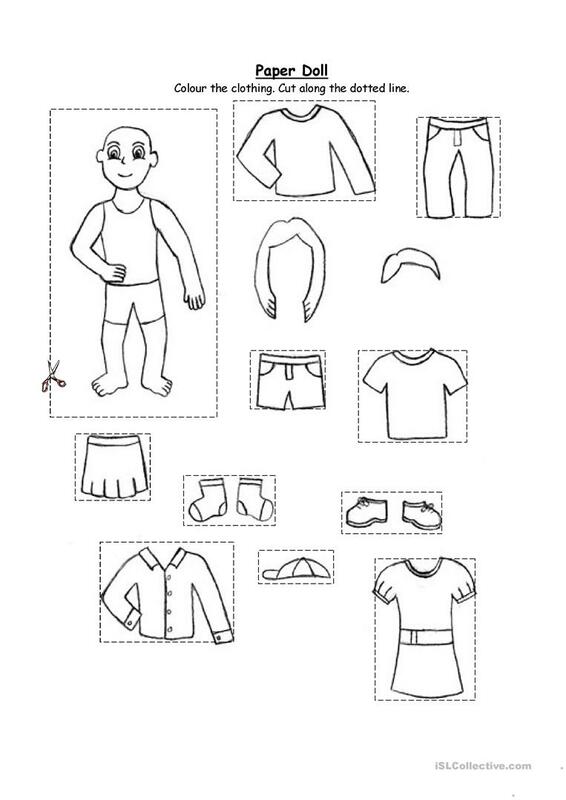 Have the students colour and cut the clothing along the dotted line (I uploaded another paper doll worksheet without the dotted lines for older students who can cut. In this worksheet the students will need help cutting the hair out). After they colour and cut the doll and the clothing. Have them lay out the clothing on their desk and then give instructions to the students. The present downloadable teaching material is meant for elementary school students and kindergartners and nursery school students at Beginner (pre-A1) and Elementary (A1) level. It was designed for developing your groups' Listening skills. It centers around the theme of Clothes, fashion.